Schertz Mobile Notary Public & Translation Services provides complete professional translation services in Spanish, French, German, Russian, Portuguese, Latin, Arabic, and dozens of other languages. Our company has been doing translations for over 25+ years with the up most professionalism and accuracy in Texas, and the United States Military. All of our translators are certified and licensed in Texas. Our translators provide professional certified translation services to individuals, companies, and institutions. We can translate official and legal documents from Spanish, German, Russian, and French, as well as certify and notarize our translations. Translations which are required by the USCIS or The Department of State can be expedited the same day for additional fee. English-Spanish speaking customer service Translators available upon request. We are a local company that offers a physical location with a walk in service option. Unlike other competitors whose companies are overseas and have unknown locations and outsource their translations. We have over 25 years of USCIS experience and 100% acceptance of certified translation documents. No other translation company or person can top my experience. All our translations are reviewed by Ben Davila who speaks spanish and english has translated documents while serving in the U.S. ARMY. We guarantee 100% percent satisfaction. in anyway compete with them. We are a 100% unique focused business. Academic Credential U.S. Equivalence Services are provided as well. Detailed evaluation equivalency of Transcripts and Diplomas. If you seek a professional translation service for your business, agency, or organization, please contact us by filling out the contact information below, and upload your file for a quote today! If you wish to speak to a representative, feel free to contact us! We don't have to transfer your call to get a Spanish speaking translator. Ya ves aqui estamos para servirte! We offer Spanish Sworn Perito Traductor Translation Services. Necesitas traducir tu documentos por el uso de Perito Traductor Oficial para documentos para Mexico oh latino Americano. Nuestra agencia te puede ayudar. Certain restrictions apply for satisfaction guarantee. We would need a letter of rejection from USCIS or an attorney stating the reasons the translation was not accepted. For a complete detailed policy you can request one in writing or thru email. Thank you for contacting Schertz Mobile Notary & Translation Services. We will get back to you as soon as possible. Thank you. Once received, we will review your submission and provide you with your free quote in minutes. 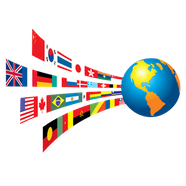 Click here for our full list of Languages we Service.